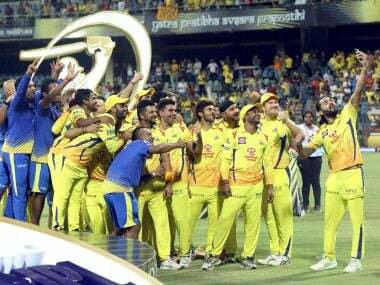 Two key players lost at an early stage of the season, no home ground and branded mockingly as “Dad’s Army” for the average age of the side, Chennai Super Kings fought off quite a few factors to clinch the eleventh edition of the Indian Premier League at the Wankhede Stadium on Sunday. 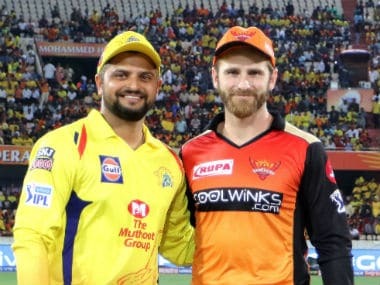 A composed side, led by the cool MS Dhoni, went against the common notion of batting first in a big final and used the dewy conditions late at night to chase down Sunrisers Hyderabad's target, helped immensely by Shane Watson’s belligerent hundred. Here we relive the best moments from Sunday night’s game. With the big toss scheduled at the Wankhede, fans watched keenly as Sanjay Manjrekar introduced the skippers and instructed MS Dhoni with the coin in hand to toss it up. The coin rolled away a bit and a nervous Manjrekar apparently forgot which captain had called heads. He returned with the coin, a bemused look on his face, asking who had called heads. A cheeky Dhoni, who barely knows the spelling of pressure, decided to fool around and pointed out that Kane Williamson had called heads, then turned it around saying he had called tails. By now Manjrekar had the eyes of a six-year-old with a sudoku in front of him and conveyed that heads was what came on the coin. 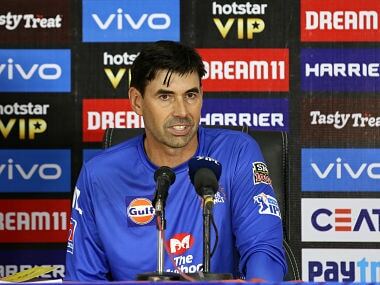 He once again asked Dhoni, and the CSK skipper decided to end the conundrum. He relayed that Williamson had called tails, so CSK had won the toss and eventually chose to bowl first. What drama before the real drama! Who would have thought sitting out Harbhajan Singh at the Wankhede, where he had played for a whole decade, would turn out to be a game-changing decision. His replacement, Karn Sharma, was by no means the best bowler on show from CSK, but in this format, it is all about grabbing the game by the scruff of its neck. With Kane Williamson, the Orange Cap holder, and possibly the only thorn in Super Kings’ flesh after Dhawan's dismissal, going great guns, Dhoni had to weave his magic and he chose Karn Sharma to execute it. In the 13th over, the leg-spinner returned to the attack and unleashed a wide ball first up to Williamson. 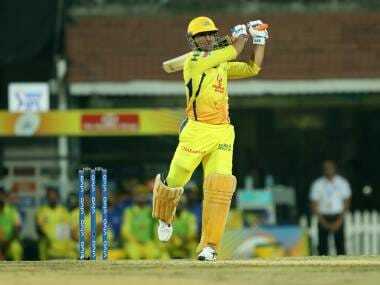 The batsman had stepped out to smash the ball but the wide meant he couldn't get bat to ball and before the thought of getting back to the crease evolved, Dhoni had taken off the bails. With Ambati Rayudu pushed to the middle-order, Chennai Super Kings needed a good start from Shane Watson who had resorted to playing the second-fiddle for most of the season. 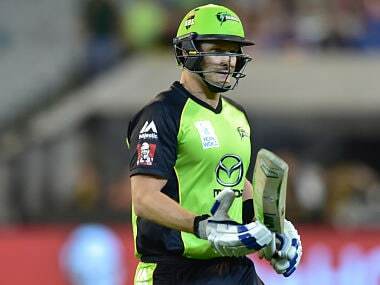 With Bhuvneshwar Kumar and Sandeep Sharma right on the money, Watson played out a maiden first up and took as many as 10 balls to get a run on board. 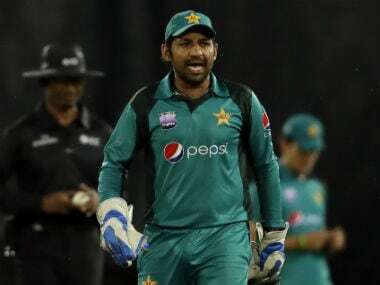 He slowly gained in confidence but the fear that he struck in opposition during his international days with his care-free batting and jaw-dropping striking was evidently missing. The turnaround came in the 13th over when Sandeep Sharma returned to the attack against a well-set Watson. A low full-toss was thumped through extra cover for four off the second ball. A slower ball followed, which clearly deceived Watson, but the brute power behind the stroke took it over long-on. In his zone by now, Watson hammered the next two for sixes and completed the over with a boundary, stealing 27 off it to bring the equation down to almost run a ball. Lungisani Ngidi had given eight off his first over but in his second, the fourth over of the innings, he bowled a perfect over to Kane Williamson. The South African kept the ball in and around the corridor of uncertainty and put the Kiwi skipper onto the back-foot. Six dot balls ensued but the Orange Cap holder seemed to be quite content to play out a good over and justified it with a fine knock of 47 from 36 balls. With an imposing 179 to chase down, Watson was pitted against Bhuvneshwar Kumar on a Wankhede wicket which offered something for the bowlers early on. The Indian seamer nearly landed the big fish first ball with a jaffa that swung away late to beat Watson on the prod. He put Watson in two minds for the next four balls, swinging it in and out like a pro and keeping the Aussie big-hitter on a leash. The over ended with Watson completely opened up by Bhuvneshwar but the edge eluded. The maiden over, however, had little impact on the game. The opener would go on to play out 10 dots in a row before opening his account and went on to make a brilliant hundred to seal the finals for CSK.